A first-week ratings win for ABC's "World News with David Muir"
David Muir and ABC's "World News" out-rated Brian Williams and the "NBC Nightly News" last week in a key demographic. 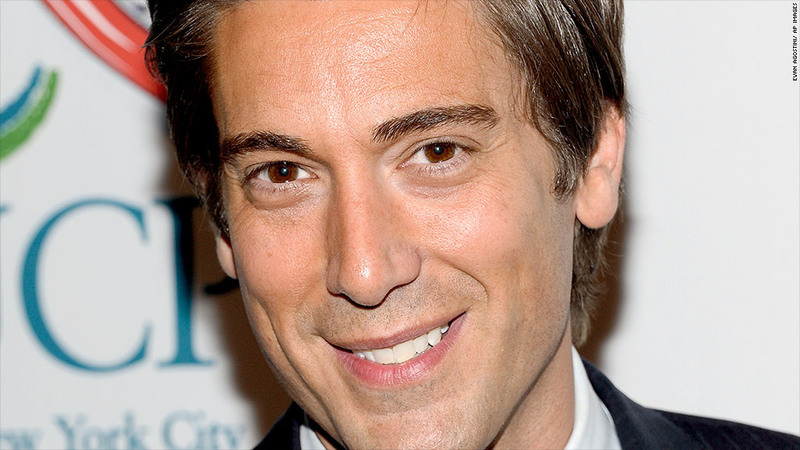 David Muir's tenure as the anchor of "World News" is starting on a winning note. Muir and ABC's "World News" out-rated Brian Williams and the "NBC Nightly News" last week by about 73,000 viewers in the key advertising demographic of adults ages 25 to 54, according to Nielsen ratings that were released on Tuesday. It's the fifth win in a row for "World News," which began to beat "NBC Nightly News" earlier this year with Diane Sawyer in the anchor chair and with Muir as her regular fill-in. Related: Diane Sawyer's no-fuss sign-off from "World News"
"Nightly" remains No. 1 among total viewers: on Tuesday NBC marked a five-year winning streak in that ratings category. But ABC may be inching closer there, too: last week NBC was ahead by only 206,000 total viewers. The alphabet network is determined to come out ahead in every category. "We're grateful that people tuned in. We have a long road ahead," an ABC News spokesperson said Tuesday. "The goal is to produce the best broadcast possible." Muir debuted on Sept. 1, a Monday, but because it was Labor Day, the holiday ratings were excluded from the weekly average. Thursday was also an anomaly for NBC because the network had an NFL game in prime time, preempting "Nightly" on the West Coast. Thursday wound up being ABC's strongest night of the week, possibly due to coverage of the death of Joan Rivers. NBC noted that on the three nights when Muir and Williams were head-to-head, Williams won two in the 25- to 54-year-old demographic. And NBC continues to come out ahead among 18- to 49-year-olds. All three evening newscasts -- NBC, ABC and the third-place "CBS Evening News with Scott Pelley" -- have gained audience during this television season, bucking a gradual downward trend.